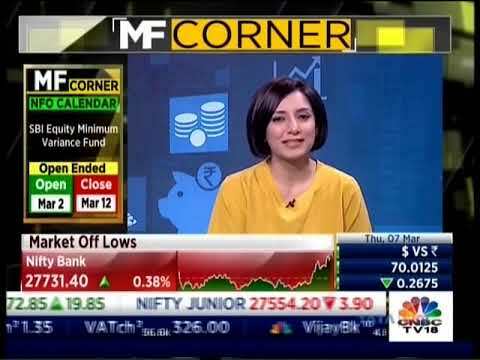 In an interview with ET Now, Kaustubh Belapurkar, Director Fund Research, Morningstar delves into the buying behaviour of the funds during the month of March. There has been a lot of redemption in a fair number of funds and that is typically due to a couple of factors, one being LTCG. Kaustubh Belapurkar, Director of Fund Research at Morningstar Investment Adviser India, shares his perspective about the latest trends in mutual funds in the What's In What's Out show. 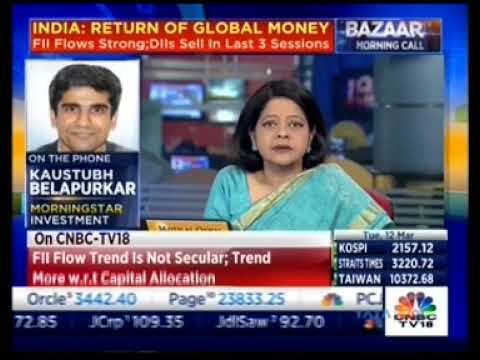 Dhaval Kapadia, Director - Portfolio Specialist at Morningstar Investment Advisers India chats with CNBC Awaaz. 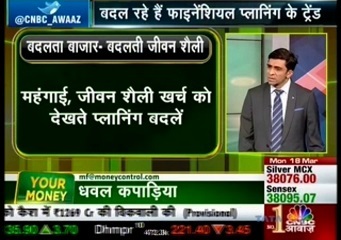 Dhaval Kapadia, Director, Portfolio Specialist, Morningstar Investment Advisers India Pvt Ltd, on Your Money CNBC Awaaz discussing on asset allocation between Equity and Debt. Nehal Meshram, Senior Research Analyst, Morningstar Investment Advisers India, talks about the investment strategy of DSPBR Credit Risk Fund. Nehal Meshram, Senior Research Analyst, Morningstar Investment Advisers India, on how ICICI Prudential Savings Fund has delivered superior risk-adjusted returns across market cycles. A flexible mandate has helped SBI Dynamic Bond Fund, says Nehal Meshram, Senior Research Analyst, Morningstar Investment Advisers India. Nehal Meshram, Senior Research Analyst, Morningstar Investment Advisers India, talks about Templeton India Value Fund. Nehal Meshram, Senior Research Analyst, Morningstar Investment Advisers India, on how UTI Mastershare Unit has been able to offer dividends across all market cycles over 30 years. Kaustubh Belapurkar, Director - Manager Research, Morningstar Investment Advisers India, talks about the investment strategy of ABSL Corporate Bond Fund. Kaustubh Belapurkar, Director - Manager Research, Morningstar Investment Advisers India, on why Axis Long Term Equity has created a niche for itself in the tax saving category. Kaustubh Belapurkar, Director - Manager Research, Morningstar Investment Advisers India, talks about Chirag Setalvad's investment strategy for HDFC Small Cap Fund. Kaustubh Belapurkar, Director - Manager Research, Morningstar Investment Advisers India, on why L&T Equity Fund can be a good addition in investors portfolio. Kaustubh Belapurkar, Director - Manager Research, Morningstar Investment Advisers India, on why Sohini Andani's strategy which has helped SBI Bluechip Fund. Himanshu Srivastava, Senior Research Analyst, Morningstar Investment Advisers India, talks about Franklin India Short Term Income Plan. Himanshu Srivastava, Senior Research Analyst, Morningstar Investment Advisers India, talks about Franklin India Tax Shield Fund. Himanshu Srivastava, Senior Research Analyst, Morningstar Investment Advisers India, on how the new avatar of this fund impacts investors. Himanshu Srivastava, Senior Research Analyst, Morningstar Investment Advisers India, on how the new fund manager Manish Gunwani is navigating this fund. Erik Johnson, marketing optimization manager at Morningstar's Behavioral Insights Team, chats with Ravi Samalad about the importance of behavioral coaching for advisors while dealing with clients. Kaustubh Belapurkar, Director of Manager Research at Morningstar Investment Advisers India chats with CNBC TV 18 on their show "Money Money Money". Himanshu Shrivastava, Senior Research Analyst at Morningstar Investment Advisers India, answers queries on mutual funds from viewers on CNBC. Kaustubh Belapurkar, Director - Manager Research, Morningstar Investment Adviser India, talks about fund manager Amandeep Chopra's strategy which has helped UTI Bond Fund deliver consistent track record. Kaustubh Belapurkar, Director – Fund Research, Morningstar Investment Advisers India, chats with ET Now about the recent investment trends by mutual funds. Which mutual fund scheme fits your portfolio? Nehal Meshram, Senior Research Analyst, Morningstar Investment Adviser India, looks at the investment strategy of Mirae Asset India Opportunities Fund which continues to deliver stellar track record. Himanshu Srivastava, Senior Research Analyst, Morningstar Investment Adviser India, on how IDFC Sterling Equity made a strong comeback in performance in 2018. Nehal Meshram, Senior Research Analyst, Morningstar Investment Adviser India, says that ICICI Prudential Top 100 Fund is one of the best funds in the category managed by veteran fund manager Sankaran Naren. Fund recategorization, what should investors do? Kaustubh Belapurkar, Director - Manager Research, Morningstar Investment Adviser India, demystifies SEBI's move to recategorize funds. He recommends investors to stay put and act only based on their financial advisers' guidance after evaluating their portfolio. Nehal Meshram, Senior Research Analyst, Morningstar Investment Adviser India, talks about fund manager Shobhit Mehrotra's strategy which makes HDFC Corporate Opportunities Fund a winner in the category. Himanshu Srivastava, Senior Research Analyst, Morningstar Investment Adviser India, on what gives this fund an edge over peers. Kaustubh Belapurkar, Director - Manager Research, Morningstar Investment Adviser India on what makes Chirag Setalvad's Mid-Cap Opportunities a consistent performer. Himanshu Srivastava, Senior Research Analyst, Morningstar Investment Adviser India on what helped DSPBR Small Cap Fund post stellar performance from 2014 to 2016. Kaustubh Belapurkar, Director - Manager Research, Morningstar Investment Adviser India, talks about how Aditya Birla Frontline Equity Fund has created a niche for itself in the large cap equity funds category. Kaustubh Belapurkar, Director - Manager Research, Morningstar Investment Adviser India, believes that Maneesh Dangi who manages Aditya Birla Sun Life Medium Term Fund is an astute fund manager both on credit and duration side. India focussed offshore funds which have not witnessed net outflows since November 2016, are witnessing net outflows over the last three months, says Himanshu Srivastava, senior analyst, Morningstar Advisers India. Talking to ET Now, Srivastava says FIIs are putting bets on IT, utility and consumer defensives. 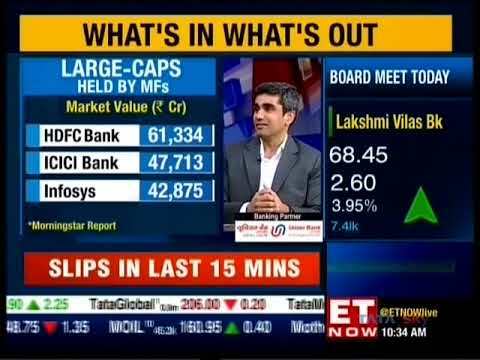 Ashish Chauhan, MD & CEO, Bombay Stock Exchange, chats with Morningstar's Ravi Samalad about how BSE StAR MF's integration will help mutual fund advisors scale up. Neelesh Surana, CIO – Equities, Mirae Asset Mutual Fund, chats with Kaustubh Belapurkar, Director – Manager Research, Morningstar India, about his success mantra. Himanshu Srivastava, Senior Analyst – Manager Research, Morningstar Investment Adviser India, talks to ET Now about the FII flow trends post re-introduction of long term capital gains tax. Picking a mid-cap fund is tough, given the divergent performance across funds and time periods. Director of fund research Kaustubh Belapurkar points to traits that make for a successful mid-cap manager and what investors should keep in mind. Director of fund research Kaustubh Belapurkar gives a low-down on the qualitative ratings of Morningstar and how investors can use them when making investment decisions. Senior Analyst Kavitha Krishnan points to a combination of factors as to why Birla Sun Life Dynamic Bond Fund stands out within its category. Will India outperform other emerging market peers? Daniel Needham, President & CIO, Morningstar Investment Management LLC shares his outlook on emerging markets on ET Now. Slowdowns in trade and immigration could hold back the U.S., and infrastructure spending could boost GDP, but it's too early to make any major changes to our economic forecast, says Morningstar's Bob Johnson. Sivananth Ramachandran, Manager, New Product Development for Morningstar Indexes talks about the relevance of sustainability based investing in India, along with the factors that drive it. Senior analyst Himanshu Srivastava on why Reliance Equity Opportunities Fund makes for a compelling long-term investment option and why it deserves a coveted ‘Silver’. Senior analyst Kavitha Krishnan discusses various aspects of Birla Short Term Bond Fund and deep dives into the reasons for the assigned ‘Silver’ Rating. Sivananth Ramachandran, Manager, New Product Development for Morningstar Indexes talks about the methodology, portfolio composition of Morningstar India Sustainability Index, and the different ways it can be utilized by Indian investors. The portfolio of Reliance Vision has qualitative bent with a focus on a few meaningful sectors. Senior analyst Kavitha Krishnan looks at this unique portfolio and discusses the strategy in detail. Though fund analyst Kavitha Krishnan is impressed with the investment process and disciplined approach, she would like to see the processes remain stable over a longer period of time. The short-term space on the fixed income side is overcrowded. Senior analyst Himanshu Srivastava highlights the traits that differentiate HDFC High Interest – Short-Term Plan from the crowd. The Chinese search giant's run-in with regulators doesn't have a major impact on our view of the firm's valuation, but the incident emphasizes regulatory and stewardship risks. Earning less, a shorter career, and living longer should steer women toward riskier assets, Morningstar's Laura Lutton says. Morningstar's Gregg Warren shares the insight he gained on Berkshire's capital spending and share buyback philosophy. An economic moat provides a gauge of a company's competitive advantages and overall strength, and it is a highly valuable tool for investors of all levels. It isn’t easy being different, but having a disciplined valuation framework can help keep your emotions in check, says GMO’s James Montier. Should Investors Care About Sustainability? Investors who want to have an impact may wish to allocate their capital to companies and funds that are better sustainability performers, says Morningstar's Jon Hale. How Can You Tell if a Fund Seeks Sustainable Investments? Morningstar's Jon Hale walks through the nuts and bolts of calculating the new sustainability rating for funds. Financial-education efforts have had depressingly little impact on individuals' decision-making when occurring too far away from the financial behavior it's meant to influence, says University of Colorado's John Lynch. Retirees today are breaking out of the traditional saving and spending models of the past, continuing to save in their retirement years, says Vanguard's Steve Utkus. A slowing China will have a profound impact, but it isn't the be-all and end-all to the health of the global economy, says Morningstar's Bob Johnson. Starting withdrawals as a bear market hits can seriously impair the sustainability of a retirement portfolio over time. In addition to moving from stocks to bonds, investors may also pivot away from more volatile intra-asset-class tilts as they move into retirement, says Morningstar's Christine Benz. Morningstar analyst Gregg Warren gives his take on Berkshire's culture, crisis management, and more from the annual meeting. In our mid-meeting update, Morningstar's Matt Coffina discusses Buffett's view of stock valuations, cost cutting, and more. The country's economy and currency are in precipitous decline, but the U.S. economy should provide an engine for global growth, says Morningstar's Bob Johnson. How Much Can I Afford to Save, and How Far Will It Get Me? Parents shouldn't compromise their own retirement plans to save for their children's college expenses, but they should establish guidelines with their children for how much they're prepared to spend. How Much Luck in Investing Success? Michael Mauboussin explains why humans tend to overweight the role of skill and underestimate the role of luck in investing success--and how we can correct for our perceptions. Because frontier markets are seen as risky, risk tends to get priced more dearly, and valuations look more appropriate for the type of risk you are taking, says Wasatch Frontier Emerging Markets Small Countries Fund manager Laura Geritz. Data show that the longer investors held stocks (and stomached short-term volatility), the safer they became for meeting portfolio objectives, says Morningstar's David Blanchett. These accounts have benefits for savers who are just getting going, but most will need a bigger toolkit for retirement, says Morningstar's Christine Benz. Beyond their ability to stomach short-term volatility, investors should define their risk tolerance in terms of their actual risk capacity and the probability of hitting their retirement goals, says Morningstar's Christine Benz. Fund investors should think beyond volatility measures alone when sizing up the risk in their portfolios, says Morningstar's Shannon Zimmerman. New research from Morningstar Investment Management examines the key factors that drive income replacement rates, trends in retirement spending, and the duration of retirement. Value investing works like clockwork, but your clock has to be really slow, says the Columbia professor and CIO of Gotham Asset Management. ICICI Prudential AMC and UTI AMC have been winners at the Morningstar Fund Awards. Here the CIOs chat with Morningstar India's director of fund research. Dhaval Kapadia, Portfolio Specialist Director at Morningstar Investment India discussing about Mutual funds and making money out of it at NDTV India Paisa Vasul. Himanshu Srivastava, Senior Analyst – Manager Research, Morningstar Investment Adviser India, talks to ET Now about why foreign investors are finding India attractive. Kaustubh Belapurkar, Director, Manager Research, Morningstar Investment Advisors shares with ET Now momentum and flows in 2018. Discussing about the stock trends and says trend will continue in 2018. Kaustubh Belapurkar, Director, Manager Research, Morningstar Investment Advisors shares with ET Now flows in 2017 and expectations from 2018. Himanshu Srivastava, Senior Analyst – Manager Research, Morningstar Investment Adviser India talks to ET Now about what will drive markets post the Gujarat elections. What funds bought and sold in January? Kaustubh Belapurkar, Director, Manager Research, Morningstar Investment Advisors chats with ET Now on the top picks of fund managers in January. Himanshu Srivastava, Senior Research Analyst – Manager Research, Morningstar Investment Adviser India, attributed it to some of the positive developments in recent times. Money continued to flow into India-Focussed Offshore Funds, which are considered as long-term in nature than India-Focussed Offshore ETF, which are short term in nature. Even during the months when the overall FII flow was negative, its subset of India-Focussed Offshore Funds continued to receive net inflows. Kunal Kapoor, CEO, Morningstar in conversation with ET Now. Aditya Agarwal, MD, Morningstar India takes us through the key highlights of Morningstar Investment Conference 2017. Morningstar Investment Conference 2017 overview. Power packed 2-day event brings the best in the financial services industry under one roof. Kaustubh Belapurkar, Director – Manager Research, Morningstar Investment Adviser India, chats with ET Now about where fund managers are finding value in the current market scenario. Kaustubh Belapurkar, Director, Fund Research, Morningstar Investment Adviser India, discussing the ELSS schemes on The Mutual Fund Show, Bloomberg Quint. Talking to ET Now, Himanshu Srivastava, Morningstar Advisers, says the FIIs will be more cautious and we can expect around $1.8- 1.9 billion net inflows in the coming months. Kaustubh Belapurkar, Director, Manager Research, Morningstar Investment Advisers, recommends investors to tweak their portfolio only if their risk appetite differs from the fund’s new mandate. Kaustubh Belapurkar, Director, Morningstar Investment Adviser, talks to ET Now about the sectors mutual fund managers are betting on currently. Himanshu Srivastava, Senior Research Analyst, Morningstar Investment Adviser India, says that a conservative strategy has worked well for HDFC Regular Savings Fund. Nehal Meshram, Senior Research Analyst, Morningstar Investment Adviser India, says that this fund is suited for investors looking at stable returns with a short-term investing horizon.